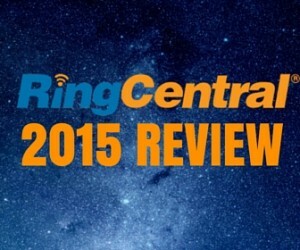 Among the top ranked providers you will always find RingCentral Fax (RC). The company was founded in 1999 and although their most popular product is RingCentral Office, a complete cloud PBX service for businesses, it also offers RingCentral Fax, an online fax service that is well known for its many features. The prices mentioned above are based on a annual payment plan, you can also choose to pay monthly but the price differs slightly. For example Fax 500 on a monthly payment plan goes up to $9.99 per month. Their prices are higher compared to competitors but it is worth paying a few dollars extra because RC offers many features that other providers don’t have. You can also get started by trying out their service with a free trial. You will be asked for your credit card information but will not be charged unless you decide to keep your account. RingCentral has an A+ score with the BBB and a reliable company with a reputation you can trust. You can cancel your trial at anytime. One of the most popular advantages of using this service is the various features it offers when it comes to transmitting faxes. Basically there are many ways to integrate their service with other services and platforms. For example, you can send faxes from Drop Box, Box and Google Drive. In addition you can also integrate it with Microsoft Office applications. One of the most popular ways of sending a fax is using Gmail. You can also easily integrate their service with your web mail without having to do any extra configurations. Otherwise you can log-in to their online dashboard, download their Desktop application or also using their mobile app to fax from your cell phone. Once you’ve sent your fax it takes only a few minutes to be transmitted and if there is a problem during the transmission (which is rare) the service will automatically resend the fax and send you an email when the fax is sent successfully or explain any errors that have occurred. After trying all the available methods to send a document, the best and easiest way recommend is through Gmail. The desktop application is useful if you are at your computer most of the time and the mobile app still needs some improvements but you can also fax via email from your cellphone phone. After signing up, faxes will be automatically be forwarded to the email provided. You can also log-in to your dashboard and edit this email or add on other emails that you would also like incoming faxes forwarded to. The email will contain the fax as an attachment in PDF format. This gives you the freedom of either saving, forwarding or printing the document. You can also configure your account to send you a text message when you’ve received a fax. Your account also comes with online storage which means all your incoming faxes can be stored virtually and this making it easy for you to access through the internet, wherever you go. You get a lot from RC, to start they not only provide fax numbers in the US but also in the UK and Canada. A powerful feature is integration. You can easily fax documents from cloud storage services such as Google Drive, Box and Drop Box. In addition you can integrate this service with Microsoft Office application such as Outlook. Another exclusive feature that few providers offer is being able to sign faxes electronically. This is valuable feature that allows you to digitally sign documents as well as preview, customize and annotate your cover sheets. Interested in Trying this Service? Although plans are prices slightly higher, you are getting a quality service and we recommended it for serious businesses. RC offers a complete set of features that other providers won’t and you have peace of mind that you’re signing up with a service that has experience and reliability. To help your decision making process give them a try with a free trial account.